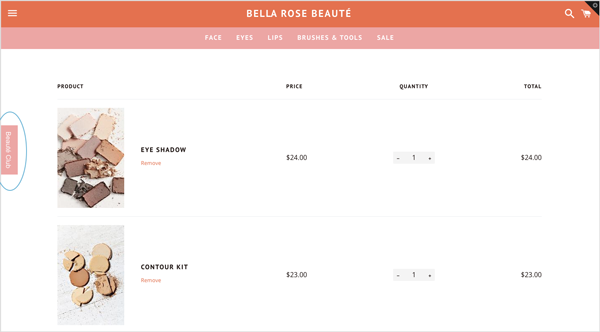 Members spend points on your rewards and use their unique reward codes when they checkout through your Shopify online store. When a member has earned enough points, they can spend them to redeem a reward. To redeem a reward and get their unique reward coupon code, the member simply clicks Redeem on the reward they want to redeem. As soon as a reward is redeemed, the members points balance is adjusted, removing the points cost. 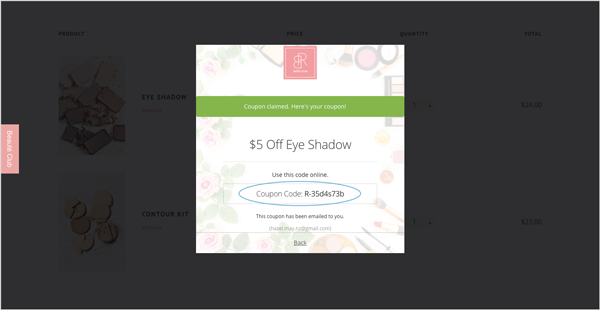 A unique reward coupon code is generated and displayed, ready for them to use. The member can use their discount code now, or save it for later. They can view their unused code at any time in your loyalty widget and if you have your Reward Coupon Email turned on, they will be able to find it in their emails as well. Once they use the code, it will be removed from their account. 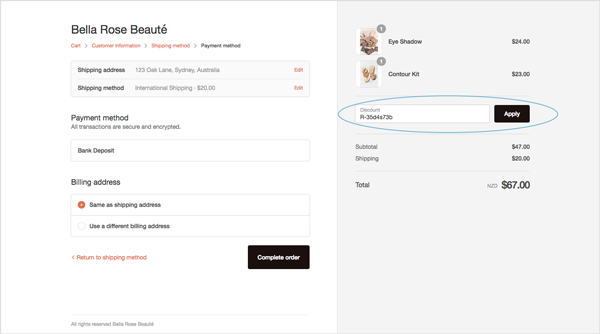 When a member is ready to checkout, they will click through to their cart. To check their rewards, they can click on your loyalty widget. Here they can copy their unique code, ready to use at check out. The discount will be applied to the sale. The member will then proceed to complete the order as normal. Yes, as soon as a reward is redeemed, the members points balance is adjusted, removing the points cost even if they don't use the coupon code in that order. This protects your store by preventing members from redeeming rewards they are not entitled to. Can a member redeem their discount code more than once? 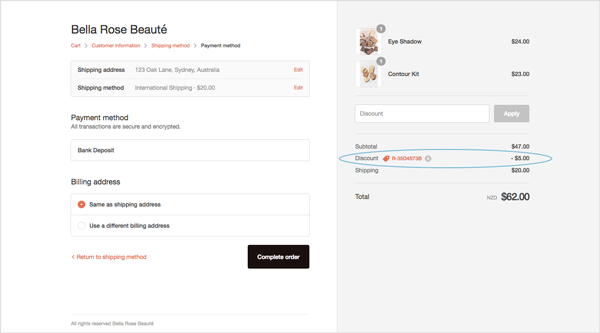 No, reward discount codes are unique and only available for one-time use. How do staff redeem rewards in POS? See how staff redeem rewards in your POS.